Servicing A Vehicle While Under Warranty - Orinda Motors Inc. So, you bought a new car. Congratulations! Whether it’s a brand new car or a “new” used car, chances are good that it comes with a factory warranty. Factory warranties are great because if you have any trouble with your vehicle, you can take it to the dealership and, depending on what the issue is, they will fix it at no cost to you. So, if your vehicle needs an oil change and you know they won’t do it for free at the dealership, what are your options? Well, you can always take it to Orinda Motors or a similar, highly-rated auto repair facility. For non-warranty items, there is no problem in taking your vehicle to an independent dealership alternative like us. However, what happens if you take your warranteed vehicle in for minor or major service during the warranty period to some place other than the dealership? 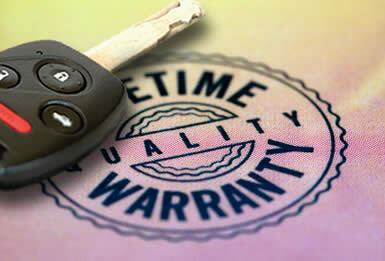 The good news is that you warranty will not be violated and the factory will still recognize the warranty coverage. The bad news is that you will be required to pay for the services if you seek the service of an independent auto repair facility. Whether or not you take your vehicle into the dealership or an independent dealership alternative, your vehicle will be well taken care of. The difference is that if you want to keep your costs down as low as possible for non-wear items, take your vehicle into the dealership while it is under warranty. On the other hand, you can save some money and time by taking your vehicle into an independent shop, like Orinda Motors, and have us change the tires, oil, fluids, and more for a much lower cost than the dealership. If you’re still not sure whether or not to take your vehicle to Orinda Motors or the dealership, consult the dealership and inquire if the service needed will be free of charge. Once you know the answer, you are better equipped to find out which choice is right for your budget and your vehicle. Orinda Motors is a locally owned and operated independent auto repair shop that has been serving the Lamorinda region since 1968. We support our local community and we go out of our way to solve your car issues while providing good value. If you would like us to service your vehicle while under warranty, we would be happy to assist you. Please call 925-254-2012 to schedule an appointment. We look forward to serving you.